Bethesda has a busy holiday lined up, and we still don’t even know every game on the list. Bethesda is a big enough publisher these days to have multiple projects in the works, a welcome change for fans who may remember waiting years between new releases. Not so long ago, we learned the publisher is even big enough to keep upcoming titles secret until very nearly the last moment, which is precisely what it is doing now. Unfortunately, Hines wasn’t prepared to elaborate on that statement. He later joked on Twitter that the statement was the result of a concussion and should be ignored. As you may recall, Bethesda is already working to release Wolfenstein 2 on PC and some consoles, and its long-awaited Switch port of The Elder Scrolls V: Skyrim is on the way ahead of Santa’s tour of chimneys this December. We do know that in February, Bethesda’s Todd Howard noted the company had seven games in the works. Some of those have already released, and we also know one is a mobile game and one is The Elder Scrolls VI (which is probably still years from completion). There is also the rumored VR game, Starfield. Until Bethesda is ready to talk, we won’t know what to expect from the upcoming mystery game, but surely a little speculation can do no harm. What do you think Bethesda might reveal by year’s end? Skyrim for Dreamcast or a mobile game. I would bet nothing against this, because You are going to 100% end up being right. Top 10 possible games Bethesda might release this year, number 8 is shocking! It's a mobile game. Meh. Build your criminal enterprise from the (under)ground up! I'd be OK with a DOOM-themed game where you build up a UAC base on Mars. 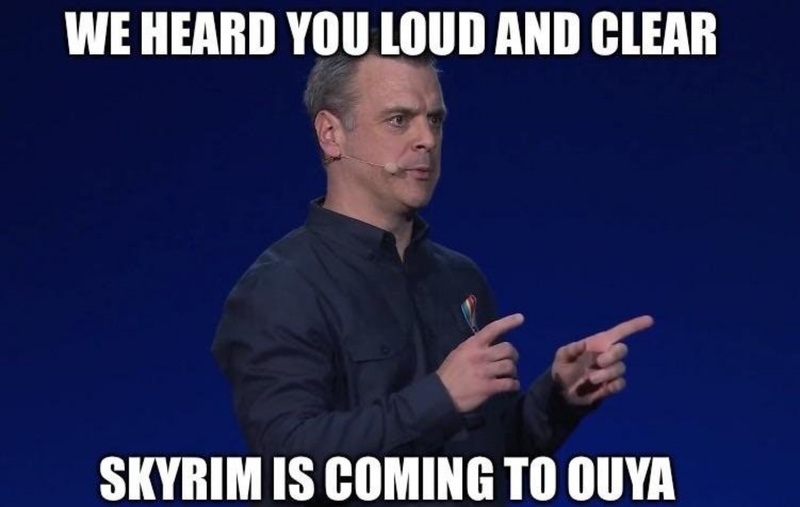 It's probably Skyrim Homestead instead of Fallout Shelter, lol. Porting all the mobile games made for the nGage, you heard it here first. I've really been enjoying the ridiculous guesses for this elsewhere online. Lots of IT'S STARBOUND! (which they believe is Elder Scrolls/Fallout in space), or IT'S BETHESDA GAME OF THRONES! (which was apparently a hoax), and a few IT'S A CARD GAME / HERO SHOOTER!. It's a mobile game. If Starbound is a mobile game, then it might be that. It's a mobile game. They're not going to release a direct competitor to their brand new card game or their brand new multiplayer FPS. They're not going to release a giant big budget RPG without revealing it at the biggest trade show of the year or at their own Quakecon show in August. They're not going to miss the opportunity to promote a tie in to the biggest show on television during its biggest season yet. It's a mobile game or something with a similar scope. Fight back hordes of demons in single-player and crush your friends in online multiplayer as #DOOM tears onto #NintendoSwitch this holiday.